Content curation is the process of gathering content — blog posts, images, videos — from a variety of sources. 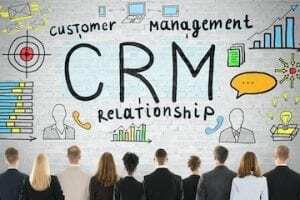 Sharing relevant information with your customers can be an effective way to deliver value and establish yourself as a resource. 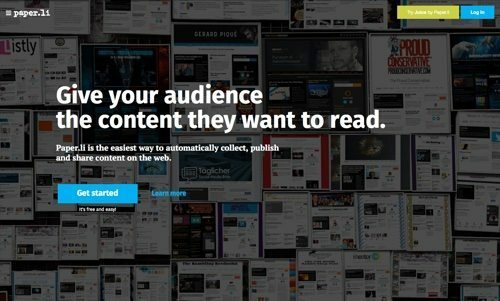 Here is a list of tools for content curation. 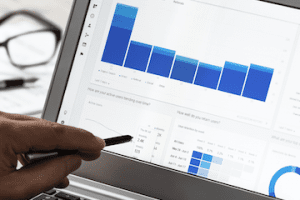 There are simple tools to create shareable content, as well as full platforms to discover, publish, promote, and analyze content for your followers. There are free and premium tools. Storify is a curating tool to find and share social media content. Find story-worth content, and use the drag-and-drop editor to curate. 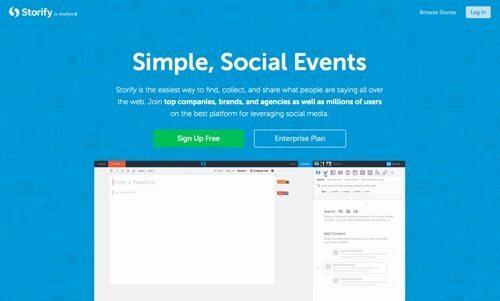 Purchase Storify’s enterprise plan for an advanced multi-editor experience. With live story updates, readers see changes to your stories immediately as they’re published. Enhance stories using your own content, including your site’s posts, photos, or comments by creating a custom source. Price: Basic plan is free. 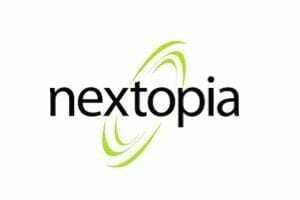 Contact for pricing on enterprise plan. Paper.li is a content curation tool to publish “newspapers” based on topics you like. Define the frequency and update times for your news site, and the topic sections that should be covered. Customize with colors, fonts, and background images. Track visits to your paper, subscribers, invitations, and more. Display any paper on your website by simply pasting a few lines of code. 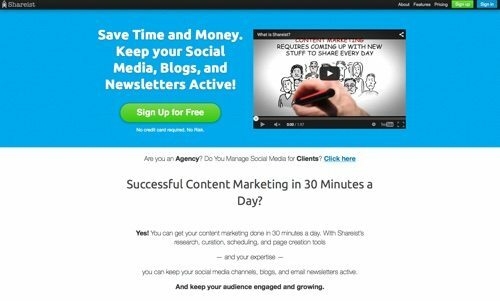 Price: Free plan offers 25 content sources. Pro plan is $9 per month. 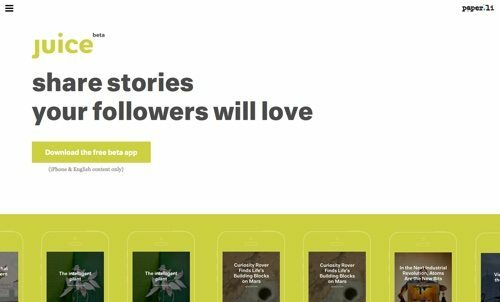 Juice, an app from Paper.li, takes the hard work out of finding content to share by analyzing your Twitter followers and bringing you a daily selection of stories to match their interests. Each story is picked for you based on your Twitter followers’ interests, a story’s potential to engage, and the best sources for the topic. Price: Free. 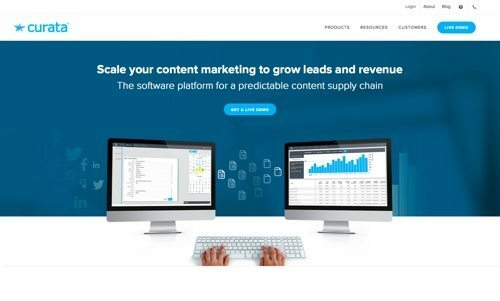 Curata is a tool to discover content and then organize, annotate, publish, and promote that content to engage and inspire your customers. Its self-learning recommendation engine suggests content and prioritizes by relevancy. 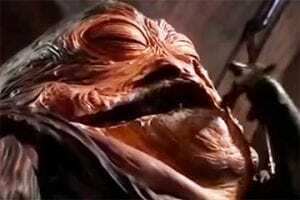 Automatically post content even when you’re not around. 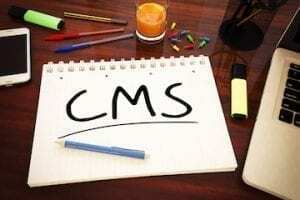 Define customized schedules, templates, and publishing rules. Price: Contact for pricing. 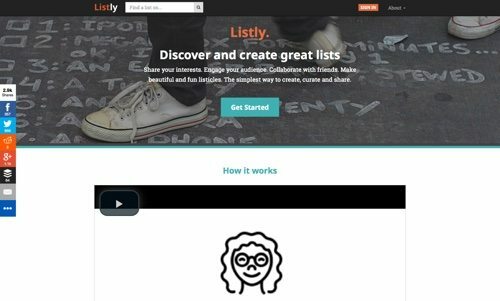 Listly is a tool to discover and create lists. 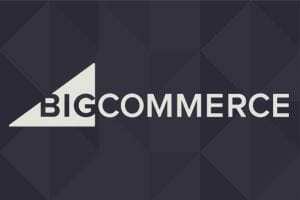 Embed the lists on your website. Listly is editable inline by you and your audience. Pro plan offers premium layouts, private lists, and more. Price: Basic plan is free. Pro plan is $9.99 per month. 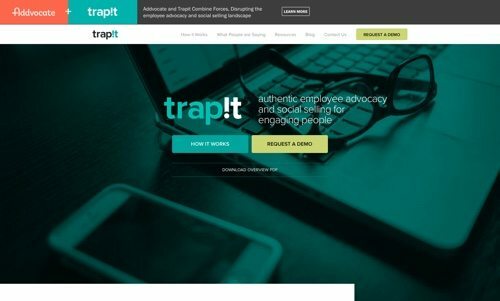 Trapit is a curation tool to discover and optimize content for social networks, and analyze your results. Create a “trap” for relevant content. Trapit draws from more than 100,000 content sources. 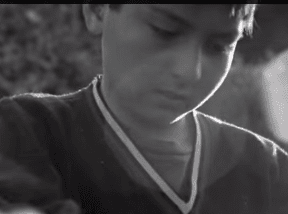 Give a thumbs-up to the content you like, and a thumbs-down to what you don’t. Trapit learns from your preferences to deliver relevant content. Headlines and summaries are fully customizable. Add additional commentary. Price: Contact for pricing. 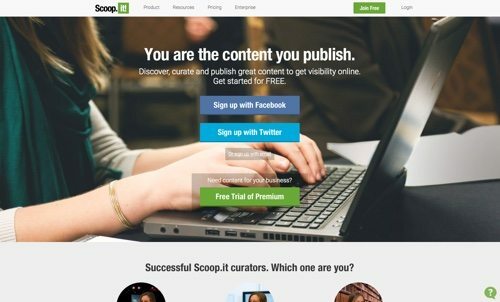 Scoop.it is a tool to discover, curate, and publish content to get visibility online. Develop your brand, educate customers, and demonstrate thought leadership. Through a simple embed code or by customizing pre-defined templates, you can add curated content to your website without coding. Use the mobile apps to select, edit, and publish posts in the same format as the website. Price: Basic plan is free. Premium plans start at $11 per month. Shareist is a content market platform to discover content and schedule as posts on social media. 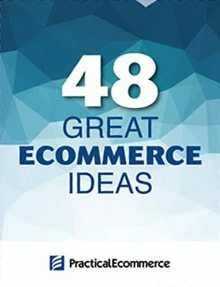 That content can then be used to create more content for blog posts, email newsletters, and ebooks. Connect all the services you already publish to (like Twitter, Facebook, WordPress, and MailChimp) and manage them from one place. Price: Pro plan for individuals and small businesses is $25 per month. 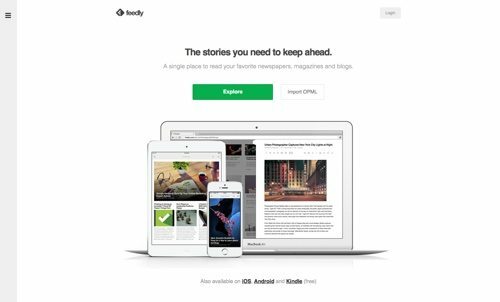 Feedly is an aggregator that uses RSS feeds to bring all of your favorite sources together, to you and your followers. Search for articles, podcasts, and videos beyond your feed. Feedly integrates with Dropbox, Facebook, Twitter, Hootsuite, Evernote, Buffer, OneNote, Pinterest, LinkedIn, IFTTT, and Zapier. Price: Basic is free. Pro plan is $5 per month. 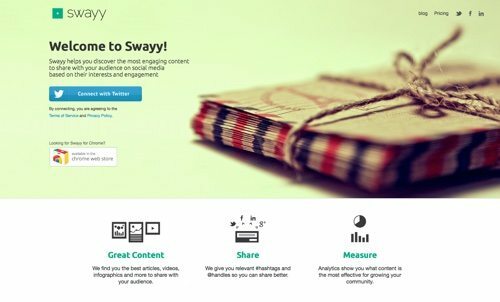 Swayy helps you discover content to share with your followers on social media. It pulls articles, videos, infographics, and more to share with your audience based on their interests and engagement. Swayy also gives you relevant hashtags and handles, so you can share better, as well as real-time analytics to show what content is the most effective for your community. Price: Basic is free. Plans start at $9 per month. 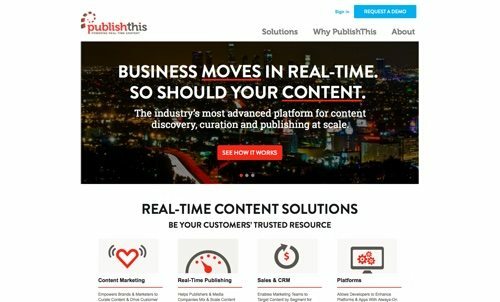 PublishThis is an advanced platform for contact discovery, curation, and publishing. Curate content from top sources and influential voices, add original commentary, and establish yourself as a trusted authority. 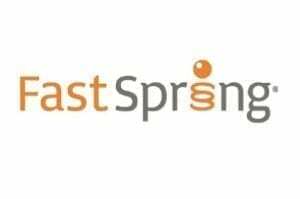 Enhance the value of your existing original content by letting PublishThis tag, organize, and package it for recirculation alongside fresh, trending content. 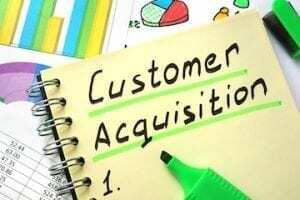 Tailor content streams for specific customer segments. Price: Contact for pricing. 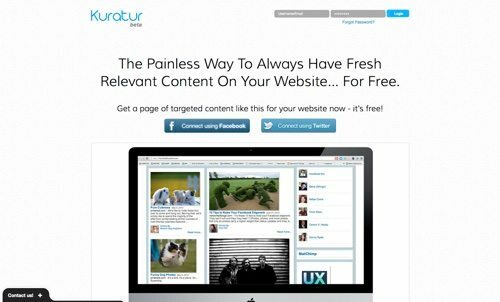 Kuratur is a tool to create your own automated web magazine. Gather content from Twitter, Facebook, and any blog that has an RSS feed. Create as many as 10 magazines at one time. Kuratur updates up to once an hour. Price: Free. 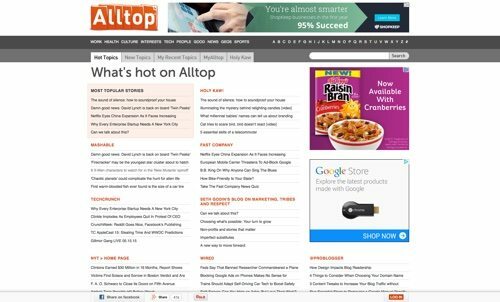 Alltop is a curator that provides content from thousands of sources to provide “aggregation without aggravation.” Browse subject categories, new and hot topics, or your recent topics to curate content for your followers. Price: Free. 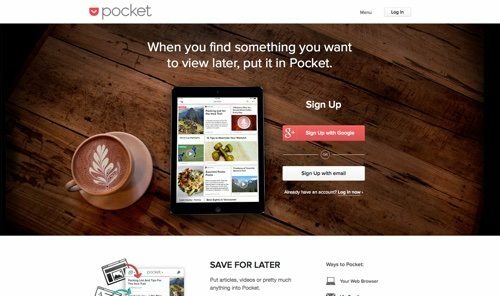 Pocket is a useful app to help you gather save-for-later items as your search for content ideas. Put articles, videos, or pretty much anything into Pocket. Save directly from your browser or from apps. Pocket is integrated into more than 1,500 apps. Price: Basic is free. Premium plan is $44.99 per year. Pinterest is the ultimate place for curated content. Pinterest helps people discover things in a simple, visual way. Use boards to create authentic stories and to engage your community. 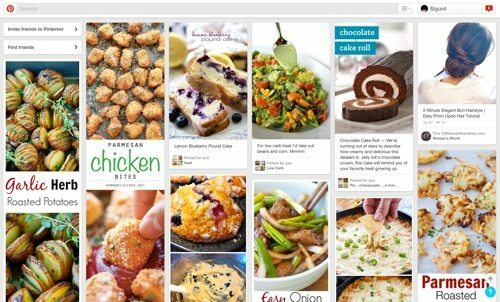 Use pins to curate images, items, moments, or even a quote. Use Pinterest not only to establish your brand, but also to share your passion. Price: Free.